As part of the HVAC industry, Reitmeier faces significant challenges that will only continue to become more acute as time progresses. We are in good company – across the board, traditional “blue collar” industries are facing the same primary problem. Stated quite simply: there is a massive shortage of laborers. Even conservative estimates put the current shortage of HVAC technicians and installers at 20,000. 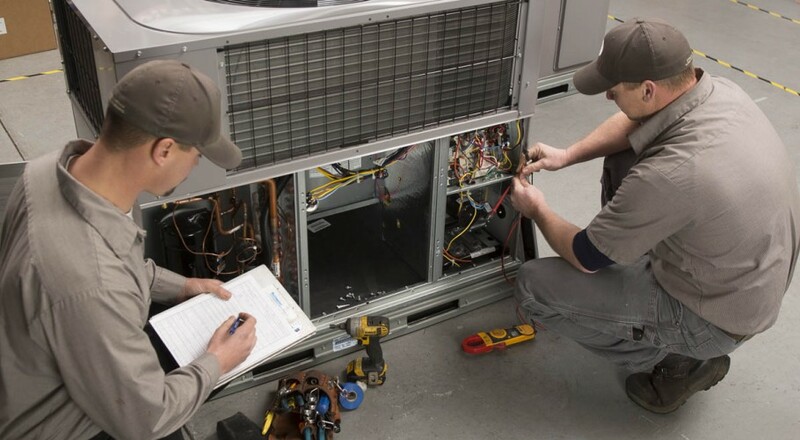 The Bureau of Labor Statistics (BLS) estimates there will be a need for 115,000 new HVACR professionals to meet the demand in our industry through 2022. Why is there such an extreme labor shortage? The reasons for the pinch are multifold. First, there is a large wave of retirement coming. Over the next 10 years, skilled technicians who are in the Baby Boomer generational cohort will leave the workforce as they hit retirement age. And, we aren’t talking about just a few people – almost a quarter of all technicians and installers are expected to retire over the next decade. Next, there is an increase in the demand for HVACR mechanics and installers. As of 2015, the industry was an $81.1 billion market, It’s expected to grow by 5.5% each year through 2020. Refrigeration is expected to be a major player in this growth. In addition, we are now in a period of booming construction with people increasingly requiring facilities where they can work, live, and play comfortably in diverse climates. And there is a third – more insidious cause for our labor crisis – that we would like to address in this article. Over time, the skilled trades industry has developed a tarnished image. Our bright, mechanically-inclined youth have been overly conditioned to think of the trades as a lesser calling compared to the more popular career paths of accounting, engineering, banking, and other glamorized “white collar” professions. There was a time in our country’s history when every American student was taught skills such as woodworking, metalworking, and cooking. They learned vocational and job-ready skills along with academics. In the 1950s, this shifted as the theory that students should follow educational tracks became popular. College-bound students took the traditional academic courses (reading, writing, arithmetic) and those students not headed for college would take vocational training or “shop” classes. Unfortunately, there was a backlash against tracking from educators and parents who believed students were being assigned to academic or vocational training tracks based on socio-economic status and/or race. The pushback did not, however, bring back vocational education to the academic core. Instead, the focus shifted to prepping all students for college. And, your inclination might be to ask: Well, what’s wrong with prepping all students for four-year college programs? As it turns out, people have a diverse range of skills and learning styles. And, some students are mechanical and would do best in a workshop or in front of machinery. Sadly, these students are not currently being served by our college-oriented education push. The latest figures show that only 68% of high-school students attend college, but almost 40% of these students don’t complete their four-year programs. This means a lot of wasted time and money, often along with burdensome debt. Many of the students who did not attend college or who dropped out would have thrived if they had been given the opportunity to pursue a skilled trade. Here’s the rub. Despite the growing evidence that four-year college programs do not serve many of our students, states continue to cut vocational education programs. At Reitmeier, we believe that the trades are practical, valuable skills that should not be marginalized or discounted. Young people who can build, repair, and invent mechanical things have useful skills that can not only be applied to daily life but can actually give high-school graduates meaningful, high-paying work that allows them to pursue a career that fits their aptitudes and doesn’t necessitate them racking up paralyzing student debt. And here is some information that might surprise you. Students who receive vocational training can embark upon a skilled-trades career that offers wages and benefits that rival white-collar professions. A recent side-by-side wage comparison shows blue-collar jobs next to white-collar jobs. In several cases, the blue-collar job is equal to or higher than the white-collar job. Several years ago, it became clear to us that the only way for us to tackle this mounting industry trend was to get creative. Rather than relying on existing (and deteriorating) recruitment and training methods, Reitmeier rewrote the book on growing the workforce of tomorrow. That’s why we launched Reitmeier University, a four-year continuing education program, that trains and certifies new Reitmeier employees in commercial HVAC services. Our innovative and comprehensive curriculum is a complete training program that teaches our new hires everything they need to know on the job. This means that even students straight out of high school can join us and learn HVAC skills. We partner each new hire with an experienced Senior Level Technician who mentors them along the way, taking them on ride-alongs to demonstrate the best ways to tackle real HVAC issues, in real-world settings. Reitmeier is currently adding a new component to the training, with a variety of HVAC units set up in our facility that can set our greener techs up with both simple and complex repair challenges to fix on a variety of different machines. Reitmeier University will help develop industry talent, empower our employees, and grow the next generation of skilled-trades workers. The most amazing thing about Reitmeier University is that our participants are actually being paid to learn (as opposed to paying a college to teach them). They graduate with a guaranteed job at our company with incredible benefits. Plus, they have no student debt AND are earning $40/hour with unlimited career opportunities around the world (as every developed country is increasing its demand for skilled HVAC techs). And, as the pressure for skilled technicians increases, wages for technicians will continue to rise. By committing to the future of the skilled-trade workforce, Reitmeier is doing more than just producing new industry talent. We are investing in the future of our economy, our industry, our company, and our people – and as always, ensuring that the service and quality we provide to our customers is never compromised. We have a request for you. If you know a young person in high school or recently graduated from high school who has a natural aptitude for mechanical things but isn’t necessarily looking at a college path, send them our way. We would love to talk with him or her to see if they are a fit for Reitmeier University. You can call us at 503-603-0205 or send him or her to our Career Center. Get energy-saving tips straight to your inbox. Sign up below!